Chyna has been dubbed the Ninth Wonder of the World because she has changed the face of television forever and is a pioneer for women in sports entertainment. Chyna's success has been measured through her hard work and ability to captivate audiences in every field of entertainment, wherever she may go. In addition, Chyna has also been called the First Lady of Sports Entertainment. She has broken more barriers than any other individual in professional wrestling history.She is an American actress and retired professional wrestler. 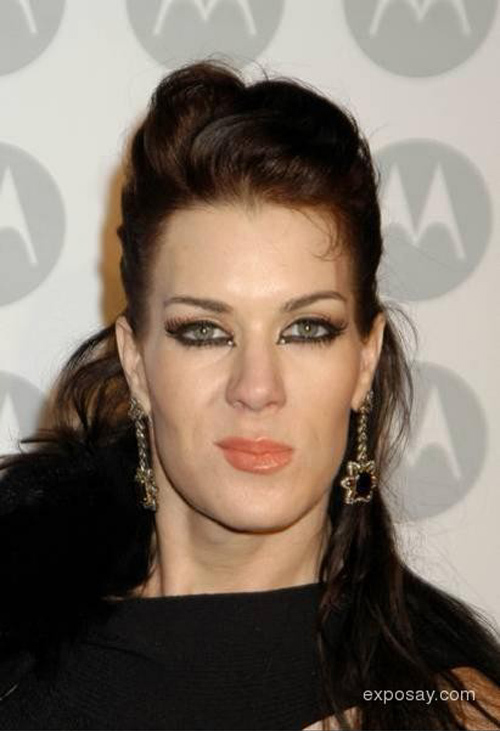 A former bodybuilder, she is best known for her career with the World Wrestling Federation (WWF) from 1997 to 2001, where she was billed as "Chyna: 'The Ninth Wonder of the World'"
She had many guest starring roles on TV Show such as; Whose Line , Third Rock From The Sun , Nick Cannon , Pacific Blue , Sabrina , Mad TV , MTV's Diary and many others. She was also featured as a cast mate on season four of The Surreal Life and VH1's spin off, Fame Games as well being in feature films including Alien Tracker , Alien Fury ,Frank McKlusky CI , Hunter Back In Force , The Romp & Brown Sugar also she was was reportedly up for a part in Terminator 3: Rise of the Machines, but lost out on the role to Kristanna Loken. PAPER DOLL CHYNA World Audience Publishers/Emillio O.